Rising UK producer and dj Kim Fai is the latest guy who did an interview with toblip.com. He’s talking about 2010, which was his best year so far, upcoming projects and his best gigs so far. Hope you will like it. toblip.com: First of all thank you Kim for doing this. I hope you had some good weeks off and you’re hyped for 2011 now. Kim Fai: No problem. Yes i’m fully rested now and ready for the busy year ahead. toblip.com: I would say 2010 was one of the best years in your life if not the best. After you released a couple of tracks in 2009 like „P.O.V.“ or „Good Life“via SIZE you did a gig with the Swedes in Brixton, supported Deadmau5 on his UK and US tour, played at festivals like Mysteryland and Tomorrowland, had your first essential mix on BBC radio 1 and you also get to know that you and your wife are going to have a daughter in 2011. How would you describe this year and what was the best impression for you? Kim Fai: As you said it was the best year for me so far.I’m just grateful i had the opportunities to do some many amazing things. It’s surely a year i will remember forever. 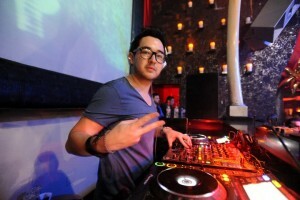 toblip.com: 2011 already started with your latest release „Era/Supernova“ also on Steve’s label. What else can we expect? Will there be a track of the „new house mafia“ like Pete Tong called you, Max Vangeli and AN21? Kim Fai: I’ve just finished a new EP for Toolroom Records which will be released soon. I’ve also done a track with AN21 & Max which will be out on their new album. toblip.com: To get an impression of your career. Like mentioned in the essential your brother bought you 2 1210 and then you started spinning. When did you play your first venue? How „big“ was it? 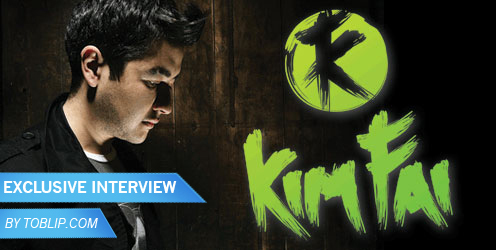 Kim Fai: The first show i ever did was at my School Youth Centre. I still remember it like it was yesterday. My friend brought a huge P.A. system. The place was shaking so badly the lights fell out of the ceiling! toblip.com: You already played in a lot of places and I know it’s hard to say what was the best but which were probably the most memorable gigs for you? Kim Fai: Most memorable for me are probably Mansion Miami at WMC 2009, Brixton Academy with SHM & the Back 2 Back gigs me, AN21 & Max did in the Summer of 2010.
toblip.com: In the US electronic dance music is pretty big right now. As you can see in Vegas a lot of artists are playing there. How do you think about this, what is difference between good old Europe and the US when it comes to music and partying? Kim Fai: Dance music is huge in the States right now. It’s definitely on par with Europe. These guys really know how to party. toblip.com: A typcial question of my blog so far is what are you using for your productions? Logic I guess but what else? Did you learn playing an instrument when you were a kid? Kim Fai: Yes i use mainly Logic for my productions. I used to play guitar when i was at High School and was in a School band! Playing lead guitar. Not many people know that. toblip.com: A lot of djs are doing a lot of edits on tracks and I know you played a pretty nice one of DirtySouth’ „Phazing“ including the original sample. Are you a fan of mashups/bootlegs/edits and are you what is important for a good one in your opinion? Kim Fai: I mainly do them for my sets, to surprise people. I like them if they’re done well. But some are really bad! there’s no harm in dropping a few in your sets but not ever single record. toblip.com: If you have some days off what are the most important things for you to relax and also to recharge your batteries? Kim Fai: When i’m at home i love relaxing by cooking some nice food, a few games on my PS3 & a good movie. Days off on tour are mainly for catching up on emails and stuff! toblip.com: With who would you really love to do a collaboration? No matter which genre of music the person is doing now. toblip.com: If you wouldn’t have become a professional dj and producer what would have you been? Kim Fai: I used to play Football [Soccer] when i was younger. If i hadn’t got into music i think that is what i would still be doing now. toblip.com: Please tell us your top 5 tracks at the moment. Kim Fai: No problem. Be sure to see you in Germany! Check also his essential mix. You will find it on the web. It’s one of the bests for me in 2010!